This past year, perhaps 18 months, I have known many people who have passed away. An aunt (cancer), an uncle (cancers - plural), a voice coach/friend (ALS), a close friend/actress (breast cancer), a friend/teacher/mentor (accident). All people I knew and loved and held close in my heart. People I did not see enough. I did not spend enough time with them or call them on the phone enough. I didn't remember their birthdays as often as I should have. I didn't have lunch or cocktails with them enough. I didn't know I could miss them this much. Then there were those musical artists I came to known and befriend as a result of my days at Capitol Records. Jo Stafford, Al Martino and Les Paul, to name only a few of the more recent deaths. I had the pleasure to work with them and come to know them a little. Certainly, I was appreciative of their place in the world of recorded music and their monumental talent. Then comes the list of actors and performers to whom I owe a debt of gratitude for their inspiration. Didn't know them, per se, but felt their presence in the way I approached my own acting. Occasionally, I'd steal an idea, a tick, a glance or (on more than one occasion) a whole line reading. Robert Culp, John Forsythe, Karl Malden (in my mind the most under-rated actor of his generation), Richard Widmark, Jean Simmons, Kathryn Grayson. Like many others, whenever I hear of a famous person's death, I immediately start thinking about who the next two might be. They always go in threes, you know. I get sad, think about their work and their lives, watch the TCM tribute days, secretly toast them with my wife. Death is an inevitability we all know, but that doesn't make it any easier. Even when those who die are giant faces on a screen. Upon hearing of the passing of Lynn Redgrave, however, my reaction was odd. More personal. More like the way I felt when my Aunt Jackie and Uncle Garrold died. When ALS took Katrinka and breast cancer finally swept Kim up in its finality. With them, a light that had burned so brightly for so long, had suddenly just gone off. The room was dark. Suddenly. I knew it was coming for all of them, but the actual event was -- well, wrong. Like Death had been crying wolf with them for so long. So too, with the knowledge of Lynn Redgrave's death. Perhaps it was her youth. I mean, let's face it, 67 is not all that old anymore. I am only a decade and a half away from that number myself. Hardly "old." Perhaps the horrible years she has recently faced. Seven years with breast cancer and chemo. Brother Corin, dead just one month. Niece Natasha Richardson, dead just over a year. So much for any family, let alone such an important and talented theatrical one. Or, perhaps it was the fact that Lynn seemed to embody what it truly meant to be an actor. In a career that spanned from Tom Jones and Georgy Girl to Shine and Gods and Monsters (and some 21 other movies after her Oscar nominated performance in the latter) she did every kind of acting in every kind of way. Her films made her a star, but her stage career was immense. She was invited to join The National Theatre for its inaugural season in the Old Vic. Her directors there? Olivier, Zeffirelli, Coward. In the 60s and 70s she appeared numerous times on Broadway in casts that any actor would give their eye teeth just to say, "I got to see ___________ on stage." She was on the West End, did voice overs, took a long running series of Weight Watchers commercials and was triumphant on TV with sister Vanessa in Whatever Happened to Baby Jane? And, here's the hard part, she was always great. She had the career that we all dream of having. The career we feel is in our bones as we are berated by a rehearsal instructors in acting school. The career our college acting teachers have no idea is inside of us because, well, they are college acting teachers and not really actors themselves. The career we are at once envious of and revel in. When the actor is genuine and talented we are happy for their success and truly inspired by their work and heir legacy. It's only when the success comes because of a pop culture hiccup or as a result of a reality show's incessant and inconceivably unearthly ratings that we get a little testy at success. Lynn Redgrave was the real deal. Sounds too simple, really. Maybe it even sounds a little disrespectful. "The Real Deal." We all should make it a point to learn from her life's example: Have dignity and class, be kind and generous, love friends and family, work hard and honestly. Be a complete human being. 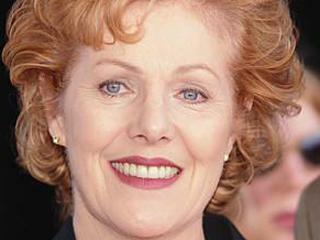 Lynn Redgrave was one of us -- an actor. Honest and true.